Capacity for 1 or 2 people. 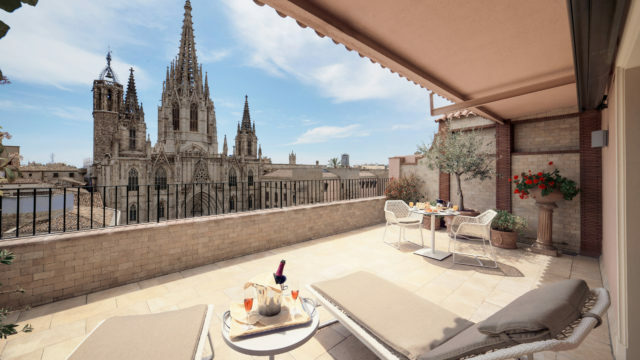 With the same characteristics of the Classic with views of the Cathedral rooms, here you can also enjoy an ample and furnished private terrace with panoramic views of the city. What an ideal place for relaxing and enjoying a coffee or a few glasses of wine, at any time of the day or night.